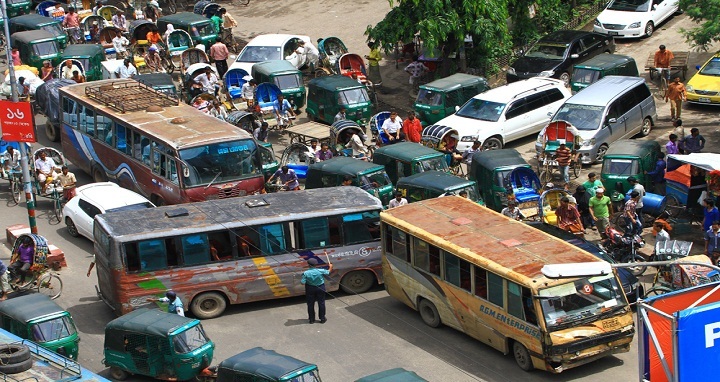 Dhaka, 15 September, Abnews: Bangladesh Jatri Kalyan Samity on Saturday demanded representation of passengers in the proposed road transport law. In a press release, the organisation said the bill already placed in Parliament would only benefit the transport workers and owners, if no representatives from the commuters are kept in the proposed law titled ‘Road Transport Bill 2018’. Samity’s secretary general, Md Mozammel Haque also sought the intervention of Prime Minister Sheikh Hasina to ensure the representation of passengers in the proposed law. He said transport owners, workers and passengers are the main stakeholders of the road and transport sector. “The commuters will be deprived if there remain no representatives from them despite the fact that there are strong, registered passengers’ organisations in the country”, he said. Currently public transport users of the country are under the grip of owners and workers as there are no representatives from commuters in the previous transport act, he added.